A compassionate dentist Dr. Kauffman makes Alzheimer’s dental care a breeze. Refusing to eat hot, cold or hard foods. Pulling or tugging at their face. Suddenly refusing to wear their dentures. According to the to the Alzheimer’s Association, prevention is the goal when it comes to dental care in the early stages because it is a degenerative disease. Obtaining access to an Alzheimer’s dental experience New York City seniors trust is an essential part of health care. If dental care is neglected, it may result in tooth decay, disease, malnutrition and behavioral problems. If the person you are caring for has their natural teeth, there are a number of things you can do to assist them with good oral health. When dementia progresses, the person may forget how to brush their teeth. You can demonstrate this by brushing your own teeth and/or placing your hand over theirs on the toothbrush. Be flexible. While it’s ideal to brush your teeth in the morning and before bedtime, it is okay to brush later or earlier in the day. The person with dementia should be calm and comfortable, and it may be easier for them to brush their teeth in the kitchen standing up or sitting down. Make holding the toothbrush easier by using either a large-handled toothbrush, or pushing the handle through a hole in a tennis ball to give them something to grasp. If the person you’re caring for has a tendency to swallow their toothpaste, look for a toothpaste that is safe to swallow or use baking soda and water. If toothbrushing is too difficult, you may occasionally try an anti-plaque mouthwash. Do not attempt to pry open the person’s mouth or force a toothbrush into their mouth. It’s best to take a break and try again later as their mouth may be sensitive. You can use a cotton swab or gauze wrapped around your finger to brush their teeth and gums. Having difficulty brushing their teeth? Try standing behind them, as this is a more natural position and helps you to brush their teeth thoroughly, and this works for flossing as well. 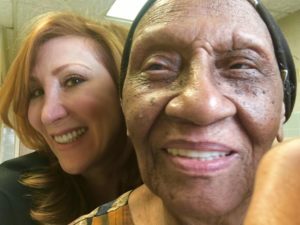 Dr. Alisa Kauffman, a top 25 dentist, provides a safe and gentle Alzheimer’s dental experience New York City seniors rely on. Dr. Kauffman has experience treating patients with all forms of Dementia, not all dentists are qualified to do this. If you are interested in learning more about Alzheimer’s dental experience New York City seniors want or simply want to schedule an appointment, please contact us today at 917-826-6278. While maintaining a healthy dental care routine is important for people of all ages, it is vitally important for seniors. Dental care has an impact on our overall health, unfortunately, many older adults have difficulty getting to the dentist due to limited mobility or multiple health problems. A concierge dentist Manhattan residents trust can help you or your loved one keep healthy. How can your dentist help you stay healthy? Many diseases have symptoms that originate in the mouth, and when your concierge dentist in NYC, examines your mouth, she can find evidence of any number of conditions or diseases. Anemia is one condition that older adults are more susceptible to because of having a poor diet or other health problems. Diabetes can slow down the body’s ability to heal, so seniors with tooth infections need to be aware that treatment may take longer than normal. Arthritis can make brushing and flossing difficult, so look for large gripped handled toothbrushes. Osteoporosis may be linked to periodontal bone and tooth loss. Diet deficiencies often occur because seniors have ill-fitting or loose dentures which make eating painful. Watch for symptoms of malnutrition such as bleeding gums. Heart and liver disease has been linked to poor oral health care. Aging adults should treat tooth infections right away as they can potentially cause Endocarditis, an infection of the inner lining of the heart and heart valves. Alzheimer’s and Dementia. Maintaining proper dental care for seniors with Alzheimer’s disease may become increasingly challenging because they might forget to brush their teeth or forget how to brush their teeth. 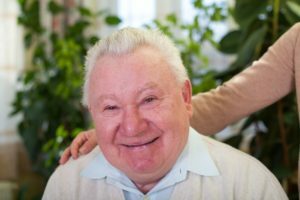 If you are caring for someone with dementia or Alzheimer’s, then you may need to assist them by proving them with short and simple instructions. Dentures. Dentures need to be properly cleaned every day, and make sure to check that the dentures fit well. Signs of ill-fitting dentures include difficulty chewing and talking. Schedule a dental appointment so that your Manhattan concierge dentist can repair or adjust the dentures. Seniors who are bedbound or have limited mobility face a number of barriers to accessing high- quality dental care. Dr. Alisa Kauffman, your concierge dentist Manhattan residents rely on, removes those barriers by providing dental services in your home or apartment, and can work with patients wherever they are comfortable. If you are interested in learning more about the concierge dentist Manhattan loves or are ready to schedule an appointment, please contact us at (917) 826-6278.